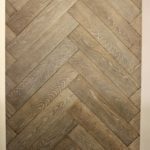 While many people spend a lot of their décor thought and effort on public rooms, such as the living room and kitchen, it is in the bedroom that purposeful and effective décor really has an impact on a homeowner’s well-being. 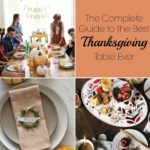 In this article, we’ll look at a variety of styles of and methods for how to decorate a bedroom, including ways to decorate a bedroom for free. 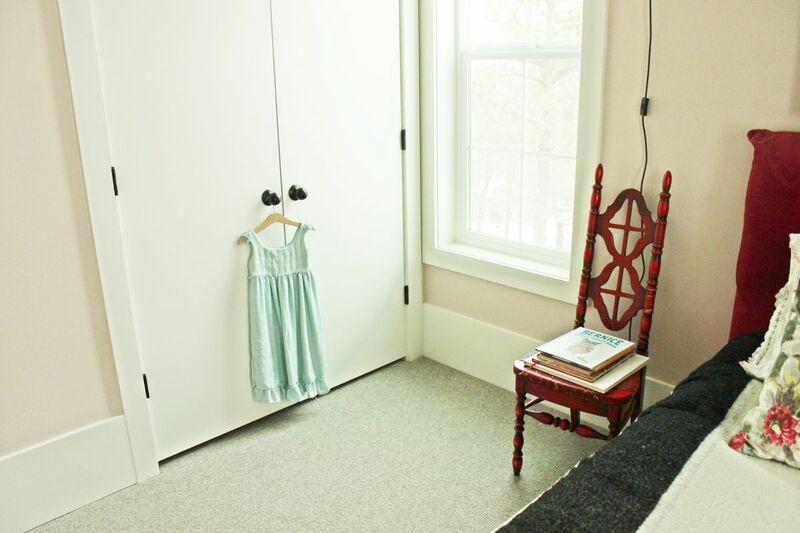 Whether you’re looking to decorate a kid’s bedroom or a master bedroom, we hope you’ll find some inspiration in these spaces. A child’s bed will often be small, which means it makes the most sense to keep the decorations in proportion to that bed. 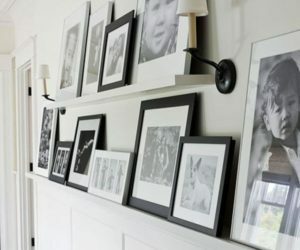 Hang wall art lower, don’t stress over matching, and keep it simple. 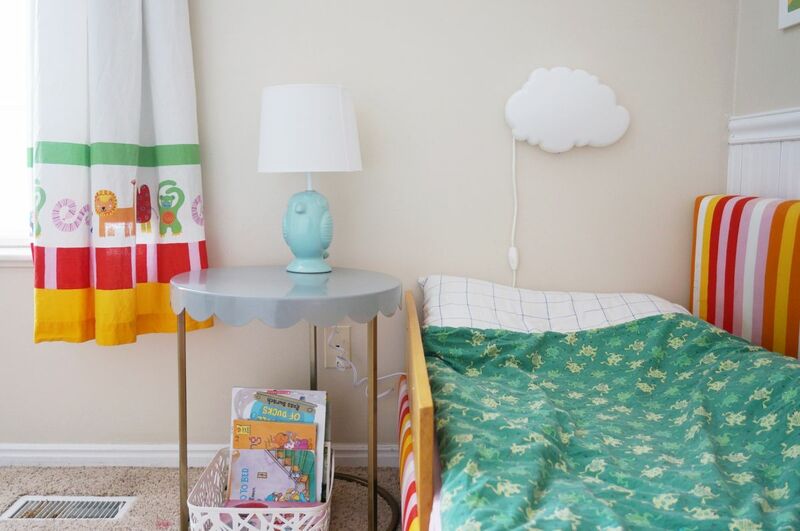 A cute lamp goes a long way in a kid’s bedroom for adding to the décor without adding a bunch of clutter that, let’s be honest, will likely end up on the floor or in another room altogether. 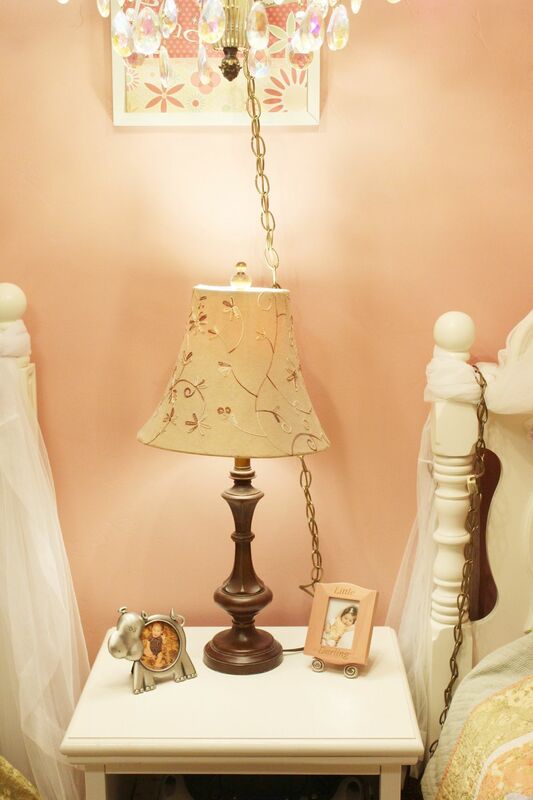 Note: A unique lamp is a great addition to any bedroom, really, whether kid’s, guest, or master. 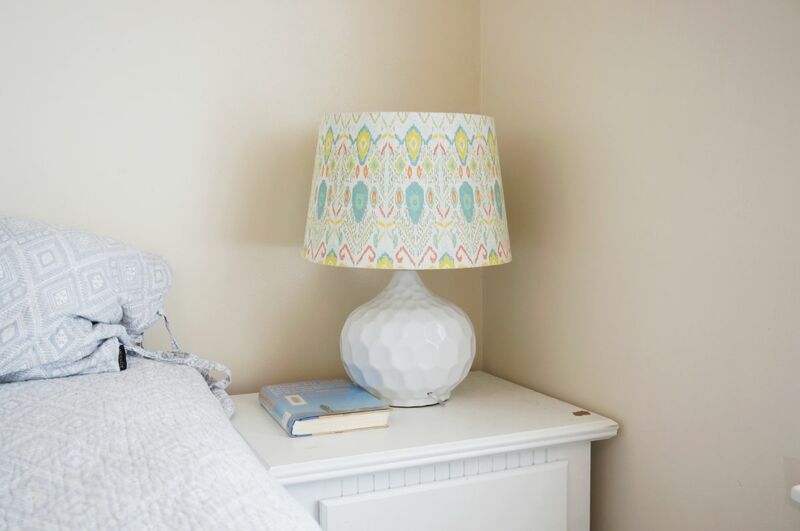 One decorating tip with lamps is to choose a single focus – if the lamp shade is printed or bold, go with a simple lamp base, and vice versa. 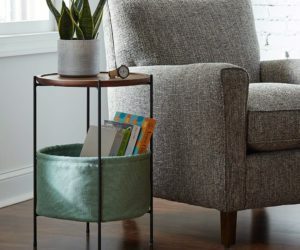 Give accessible items a tasteful “resting” spot. Easy access to books in a basket gives your child an opportunity to read in bed and also an opportunity to clean up after him/herself easily. 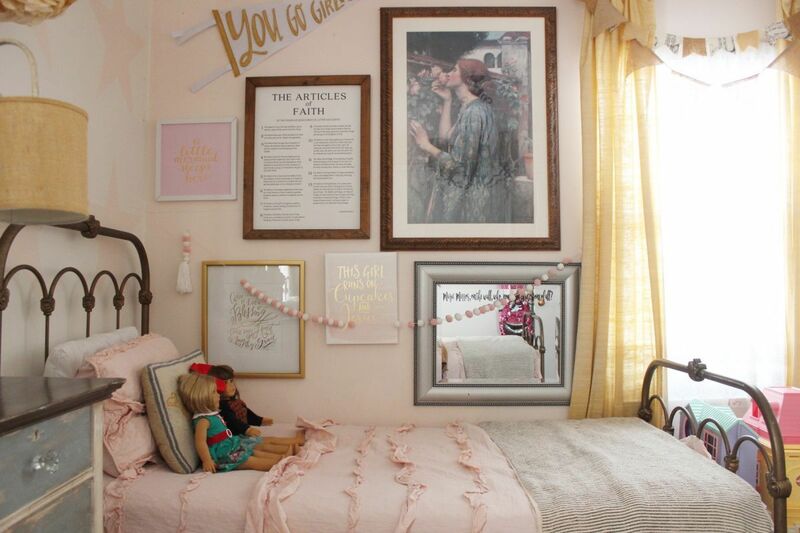 This corner bedroom is a perfect getaway for any little body. 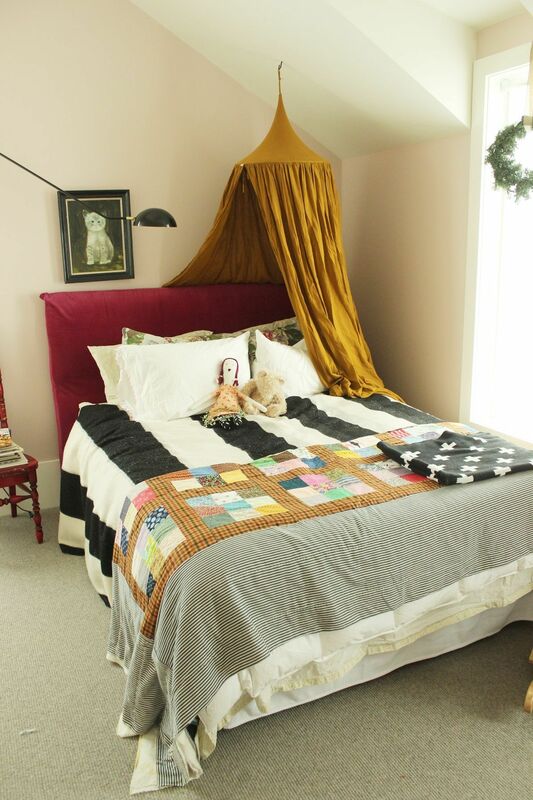 Vintage quilts are charming and colorful, two important components to a kid’s bedroom. They can be mixed with bold patterns, such as a chunky black and white stripe, to bring the bedroom a modern, somewhat eclectic vibe. There are few things more magical to a child than having a “fort” or other special place. 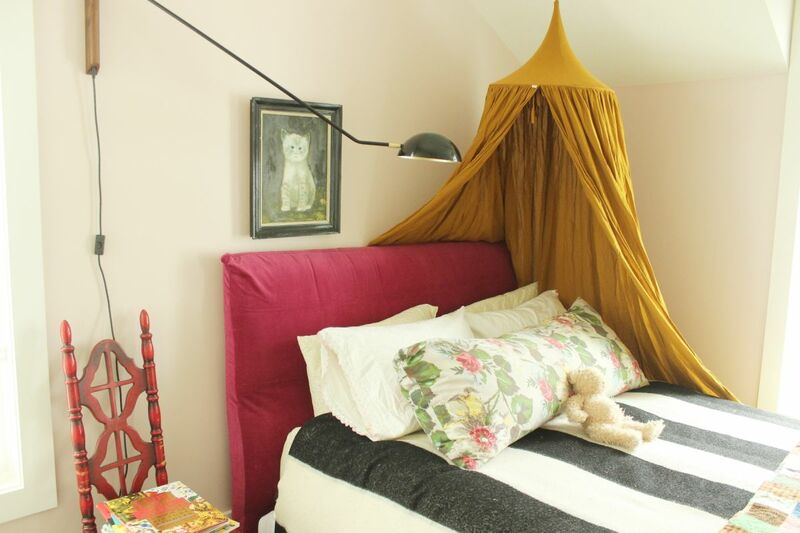 A canopy for a bed creates an instant sort of secret garden getaway. The canopy can be ceiling mounted and hung over even just a corner of the bed with a beautiful effect…and a million imaginative opportunities. 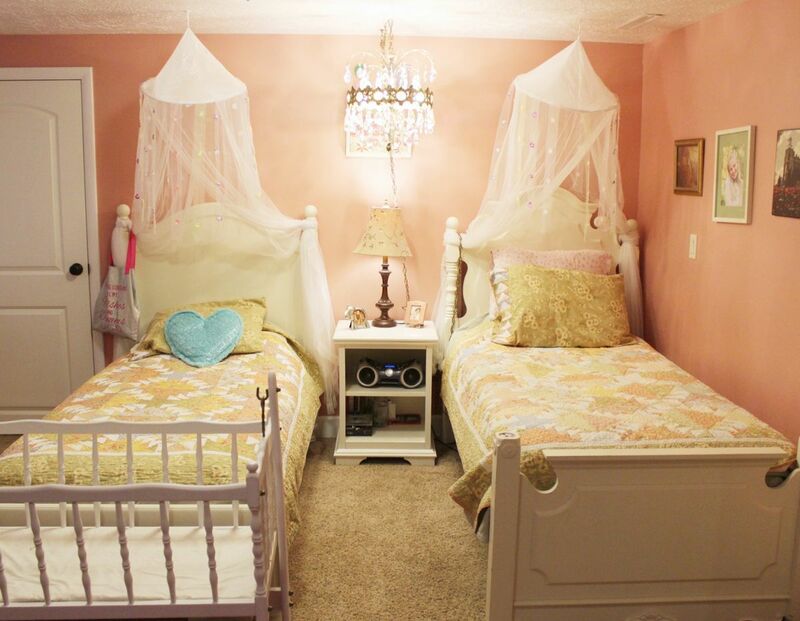 Double canopies are a fun way to create a “princess” feel in a girls’ bedroom, in particular. They are particularly feminine when made out of a gauzy, pale material. Fill the space with beautiful things. 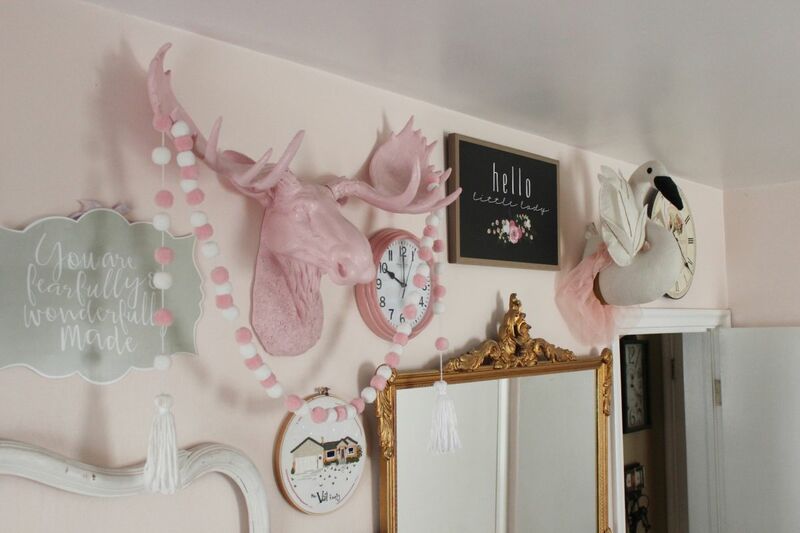 If your child feels more at home surrounded by things s/he loves, then take this into consideration when you’re working to decorate the bedroom. If it’s what they love, fill the space! 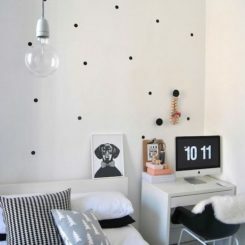 Fill the walls, overlap loved pieces and prints. Just because a window already has window treatments doesn’t mean it’s automatically off-limits for further décor. 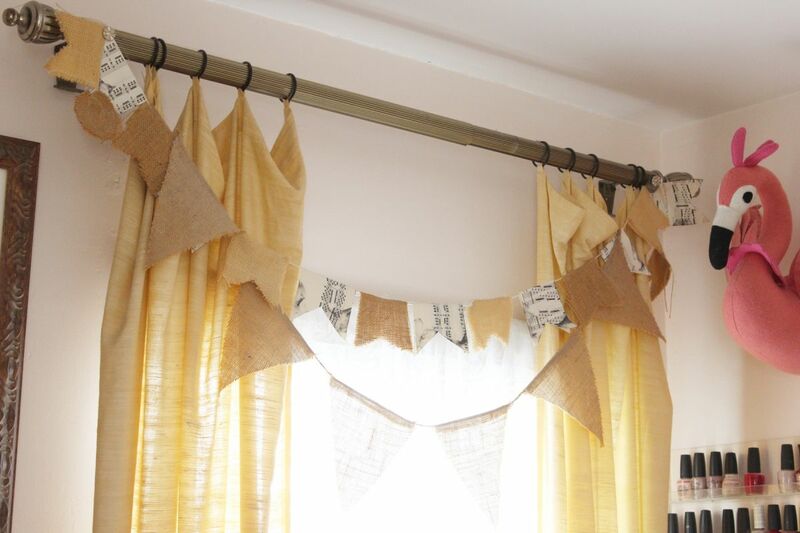 A sweet garland or banner (or two!) layered over top of curtains provides depth and charm. Choose a unique bed. To make a statement, and to make a child feel very special, consider selecting a bed that is unique and stylish in its own right. 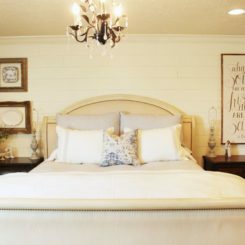 Iron, brass, wood, and many other materials make great bed frame choices. 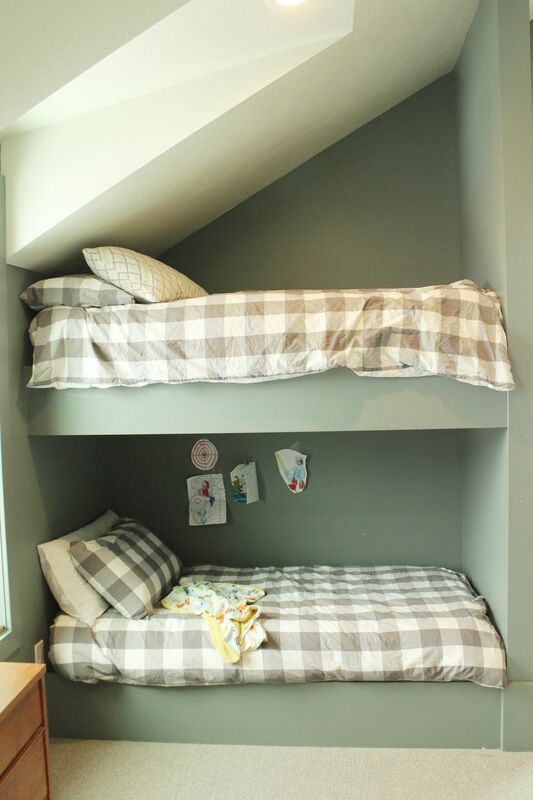 It’s a good idea, on a kid’s bed, to provide some way for the child to be able to sit comfortably while in bed. Whether it’s a padded headboard or a vertical stack of squishy pillows, be sure that the child has the ability to read, doodle, or even just sit and listen to music while tucked away in their own space. 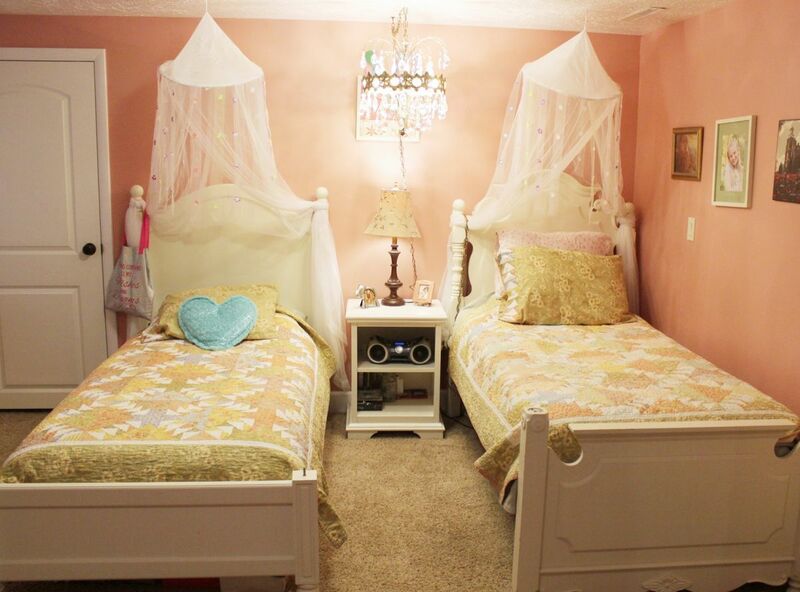 In the case of a very decorated kids’ bedroom, there is a high potential of being overstimulating. 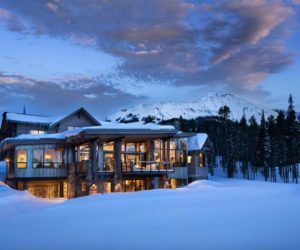 This effect can be alleviated by the strategic adherence to a soft, pale color palette. A tight color palette of soft, similar colors helps the many pieces of décor work in cohesion. 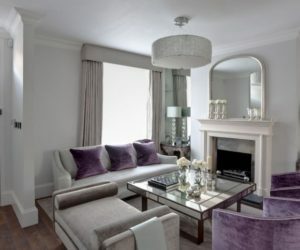 They provide charming decoration without assaulting the senses like high contrasting tones would do. 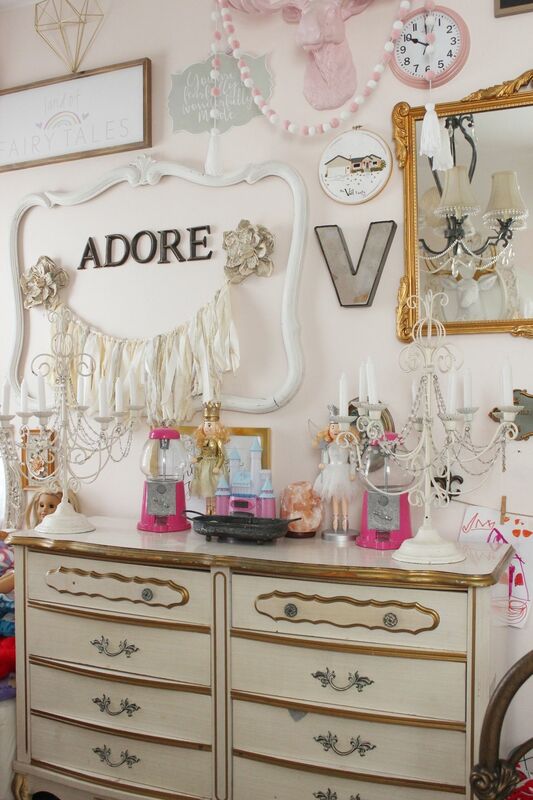 Let kids’ rooms be fancy. Many parents avoid “fancy” decorations in their children’s bedrooms for a variety of reasons, but there are few bedroom schemes as magical for a child as those that look and feel grown-up. 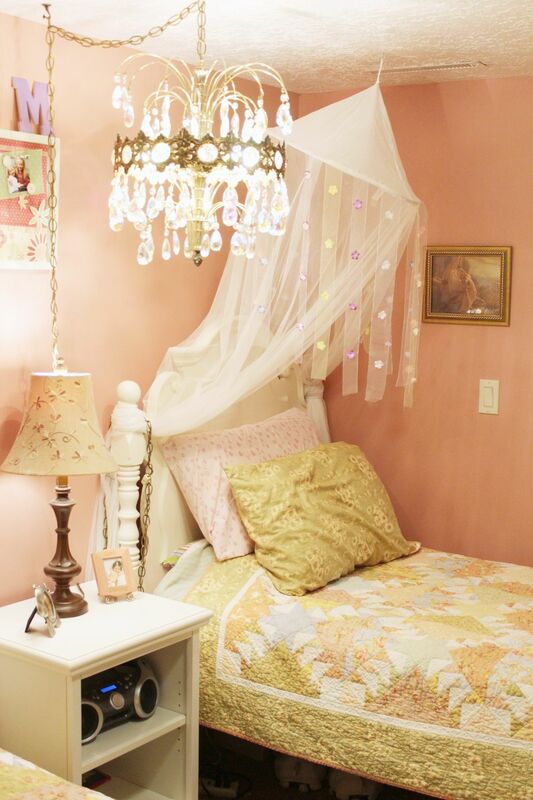 Draped strings of pearls, ornate gilded frames, and plenty of textures and metallics throughout the space transform this girls’ bedroom into a princess palace. Mount 3-D shapes on the wall. 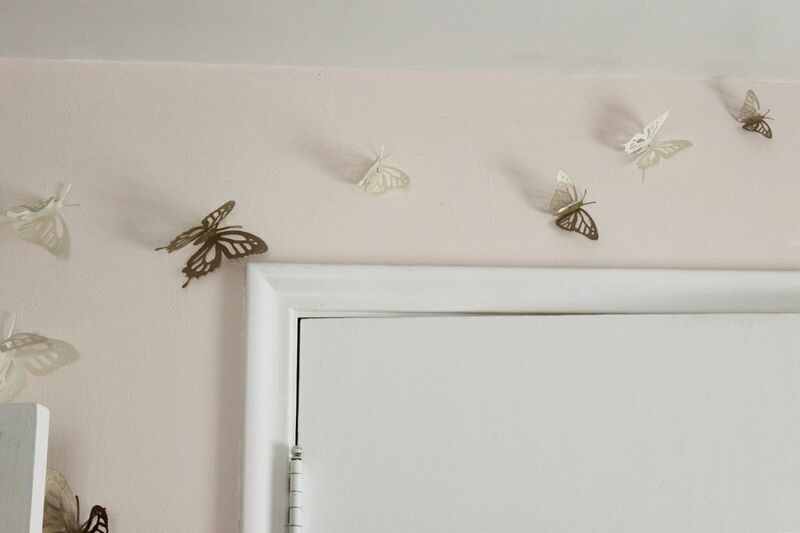 Metal butterflies look like they’re softly, swiftly taking flight, mounted to the wall and flying up and over the closet door. 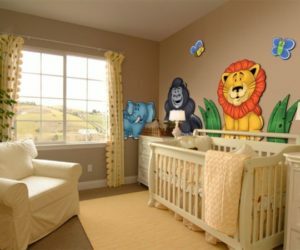 The same charming effect could be achieved with any number of animal cut-outs. A completely pink or a completely blue or a completely any-color room will feel relatively one-dimensional, no matter how well it’s decorated, if there isn’t something black or very dark to keep things grounded. 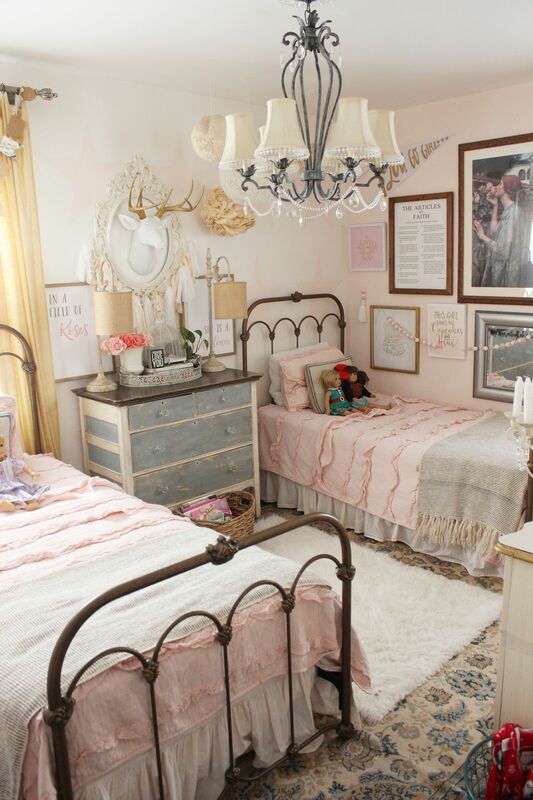 Even in this airy, girly bedroom, some dark accents are included to keep the entire room from floating away, because that’s actually an uncomfortable and unsettling feeling. 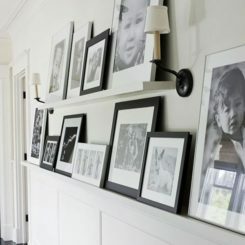 A gallery wall that has matching white frames is a great place to start, as far as wall decorating in a kid’s bedroom. 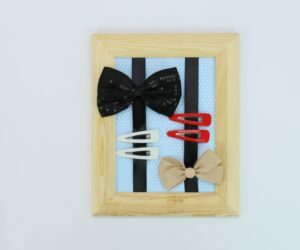 The white frames lend a sweetness to the artwork, which means that the artwork itself doesn’t need to be juvenile. 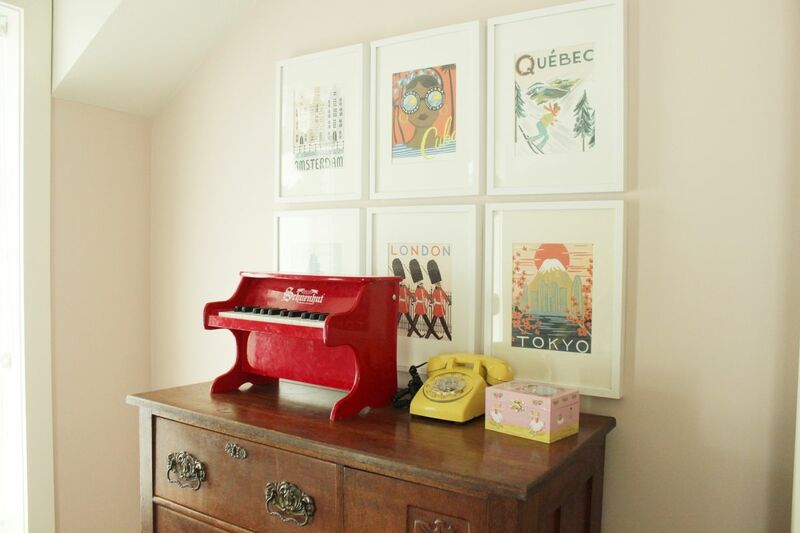 A gallery wall behind a large furniture piece, such as a desk or dresser, can be given a more casual vibe by being layered behind a few colorful toys or other sentimental objects. 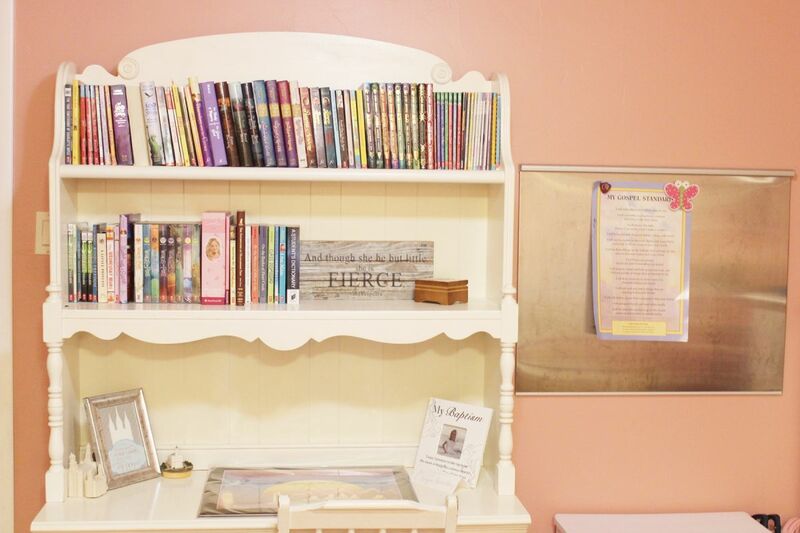 One decorating mistake that is easy to make while decorating a child’s bedroom is to choose colorful pieces or painted furnishings without incorporating some natural wood. Wood pieces provide a beautiful and stabilizing component of any decorated space, and kids’ bedrooms are no exception. 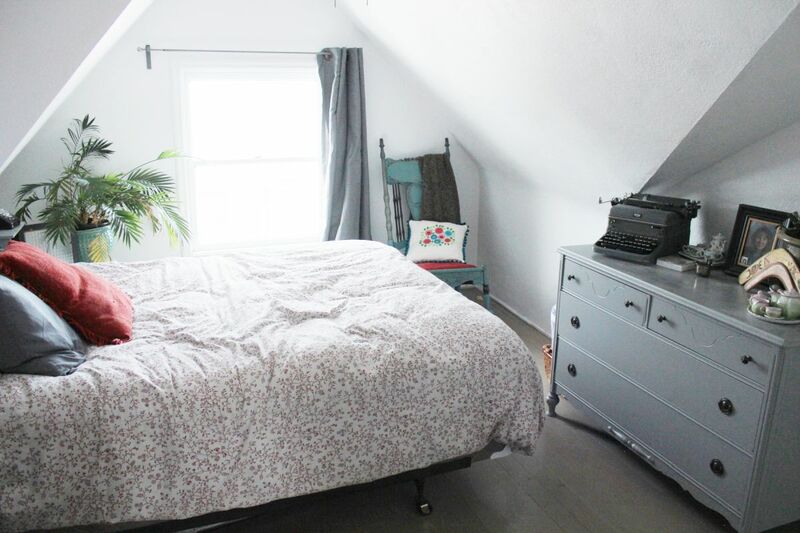 This attic bedroom of a 100+ year old home has charming and challenging slanted ceilings. The room itself is delightful, though, with plenty of natural light let in by a strategic one-sided window drapery. 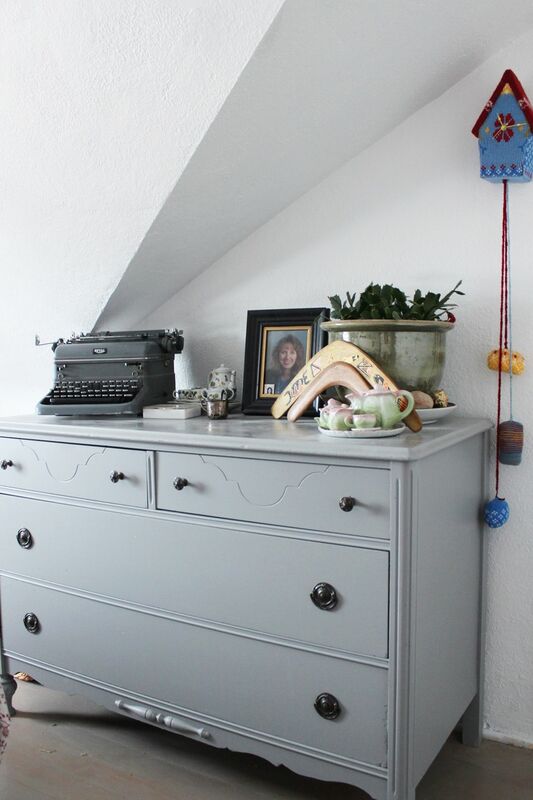 A dresser is tucked under yet another slanted ceiling, creating the secure feel of a nook. Keep colors muted with busy architecture so that there is less extraneous visual chaos. 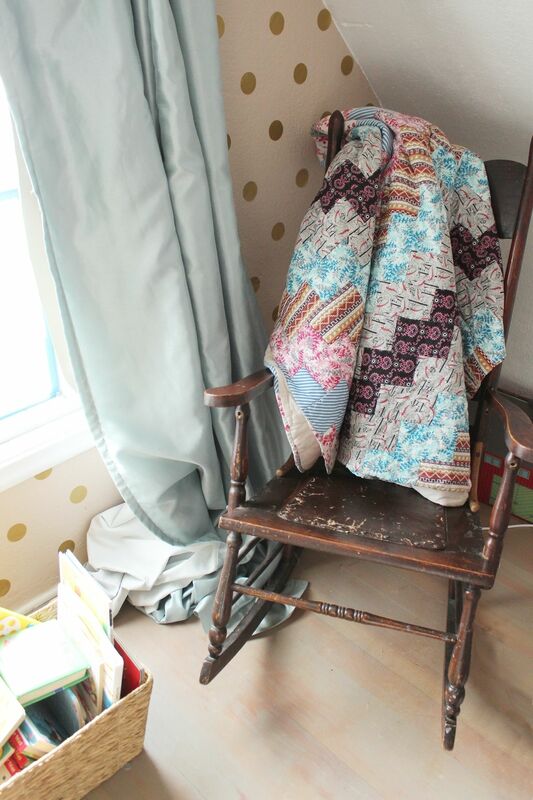 The curtain pools to the floor for elegance, and a rocking chair is thoughtfully equipped with a blanket and pillow for long or short snuggles. 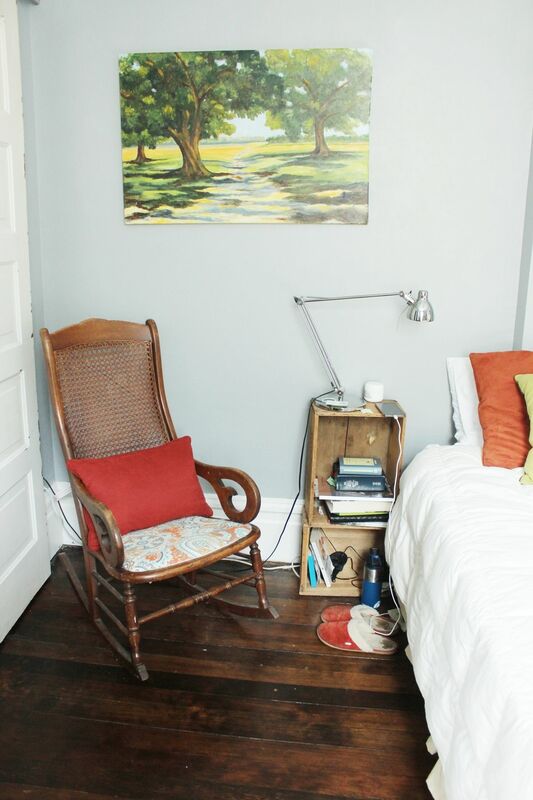 Having a chair that you can read together in is a great functional and formative decorating tip for any bedroom – a nursery, a child’s bedroom, even a teen’s, guest, or master. 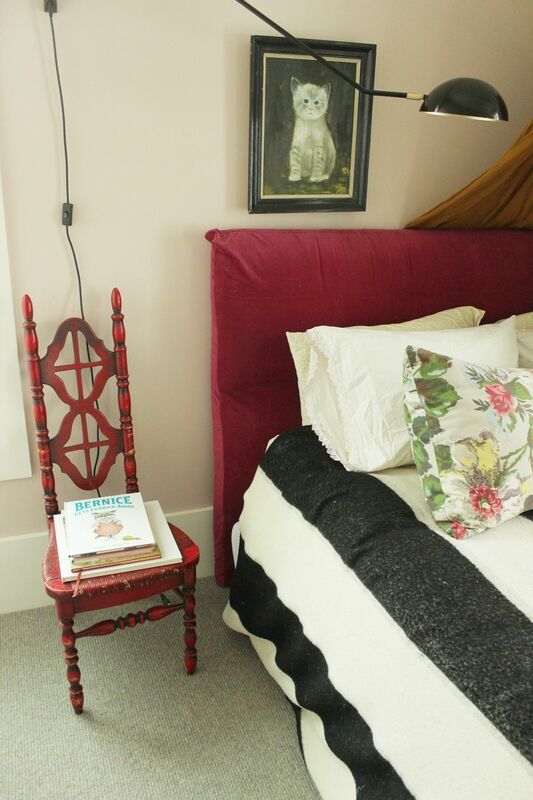 Here, a rocking chair tucked into the corner of a smallish-average sized master bedroom illustrates clearly that children are welcome here, that feet can (and should!) be put up at the end of a day, that life can slow down for a few moments. 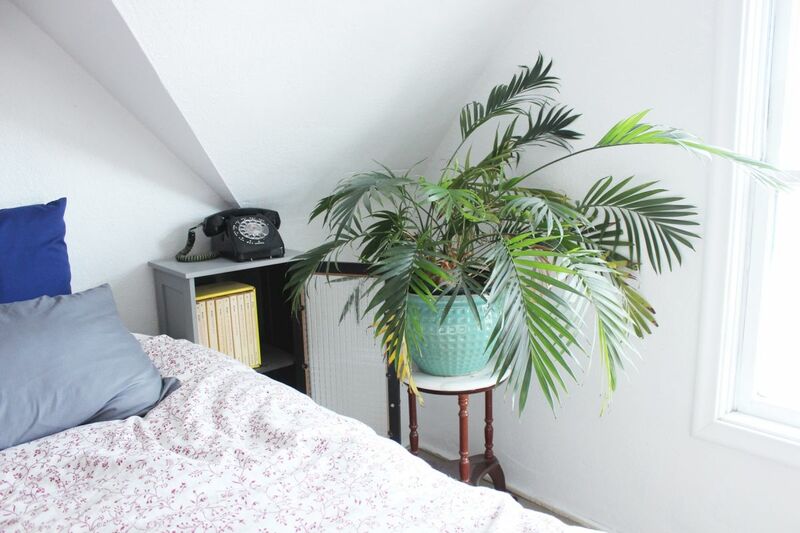 Any bedroom with a source of natural light will probably benefit from a healthy plant. 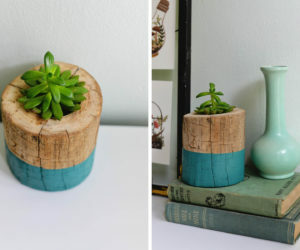 It’s a great way to soften corners and round out edges, plus it just makes the space feel fresh and healthful. 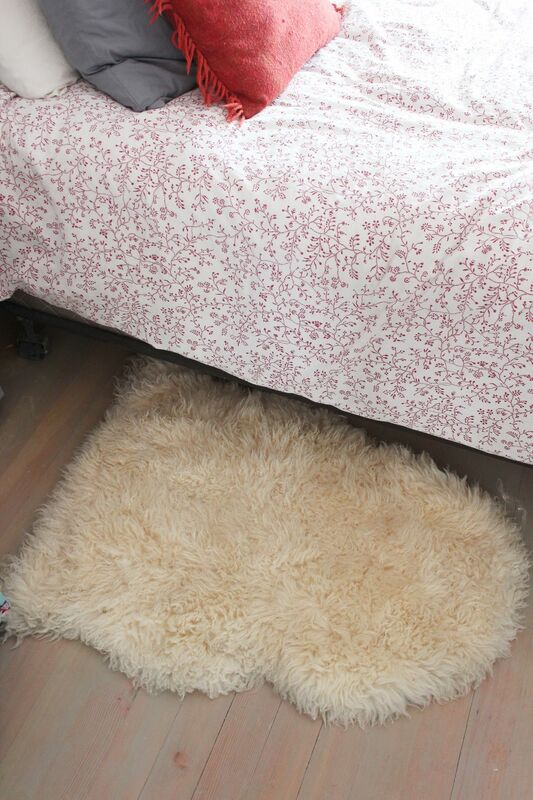 No matter the regular floor type, it’s always a sweet idea to place a soft rug of sorts underfoot at the side of the bed. This provides a physical and emotional transition from bed to life and back to bed again. 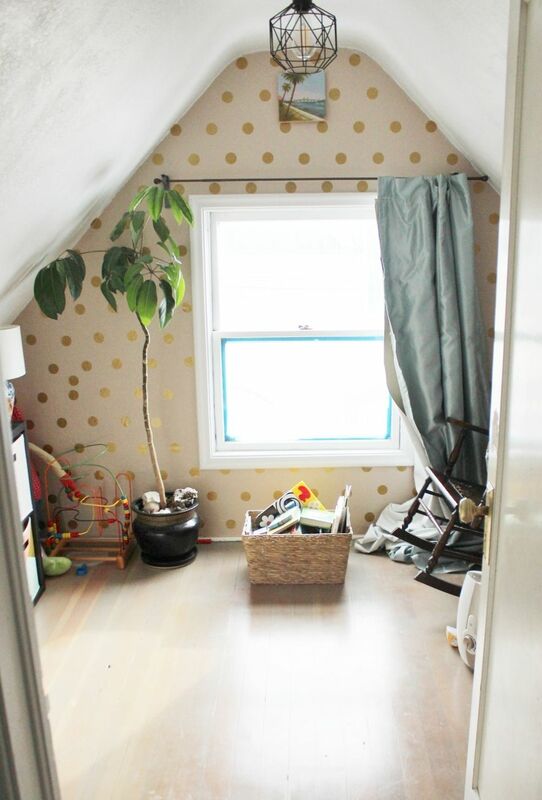 In this tiny nursery, nothing could be cuter than the mid-sized gold polka dots on the facing wall. The peach wall color provides a traditional feeling foundation, but the polka dots combined with pooled drapes, modern light fixture, and greenery create a lovely, welcoming, almost grown-up space. Almost. The slanted ceiling feels perfect in this space where imaginative play is encouraged to reign supreme. 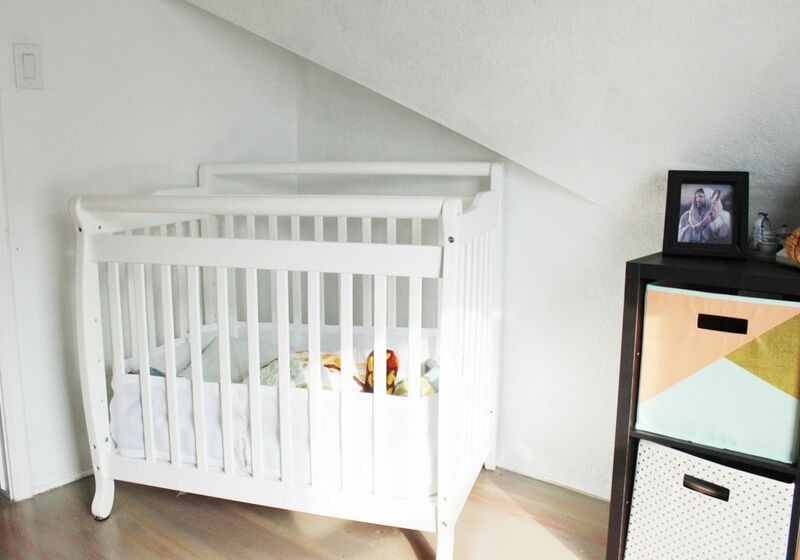 Architecturally, the crib is tucked away on all sides, making the space feel snug and safe. 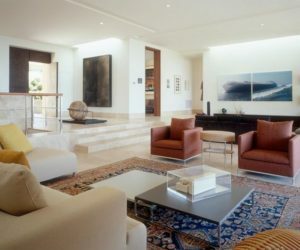 No other décor is needed when the architecture is allowed to do all the design heavy lifting. 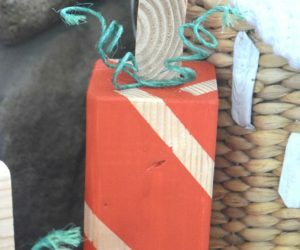 A favorite blanket, an heirloom quilt, a keepsake from a travel excursion, or anything else that falls under the umbrella of visual textile can easily be hung on the wall as a form of art. 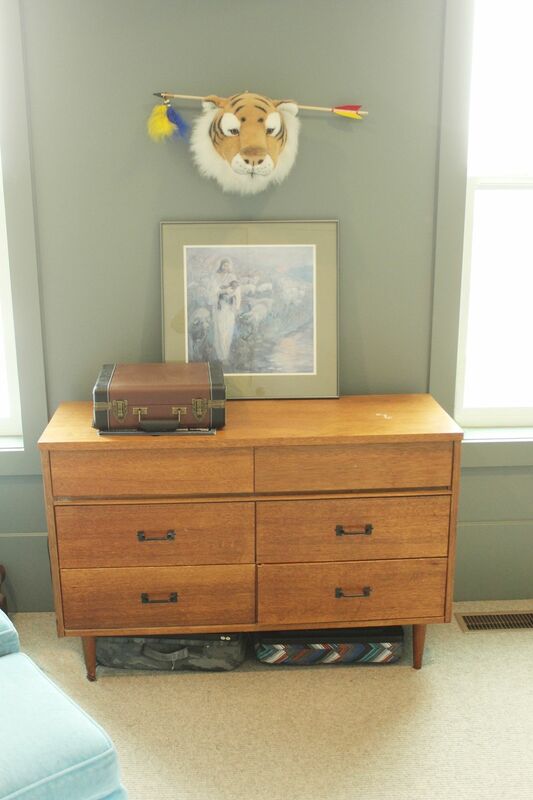 This is especially lovely in a child’s bedroom, as the fabric-y nature softens the grownup concept of art. If the bedroom is on an upper level of the house, you can get away with leaving them untreated without sacrificing privacy. This helps the room overall to feel lightened and brightened. 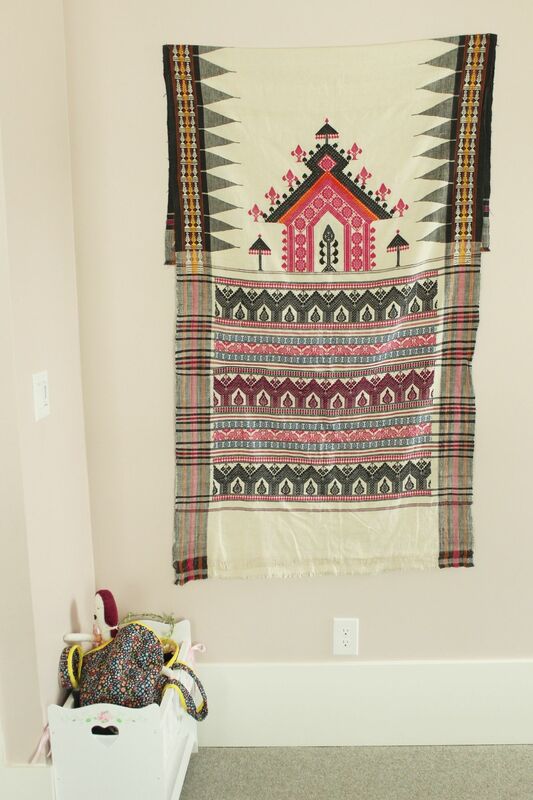 Hang a dress as décor. 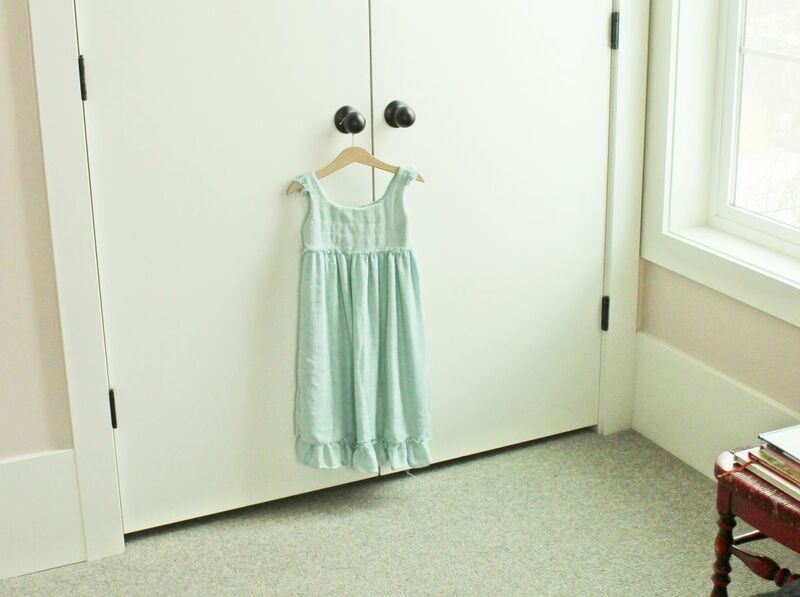 It couldn’t be easier, really, to simply hang a dress or a favorite shirt from the closet door handles, but what a sweet impact this small touch makes on the entire room! 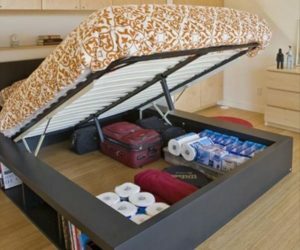 Include a surface by the bed. 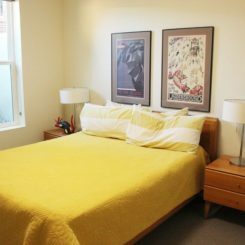 Nightstands, or horizontal surfaces easily accessible from the bed, are not just important in adult bedrooms. They’re great for kids’ rooms, too. 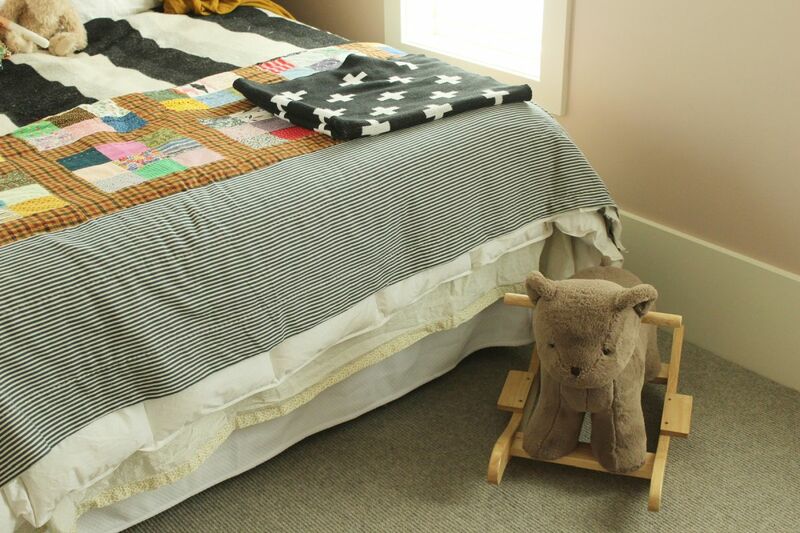 Something as simple as a chair is an inexpensive, or even free, way to decorate the bedroom and can provide precisely the convenience that a child needs at bedtime, for a book or a pair of glasses or even a water bottle. 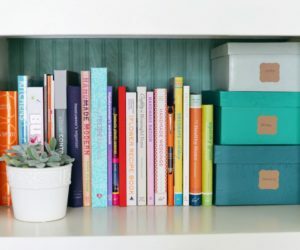 Use stacks of books as décor. 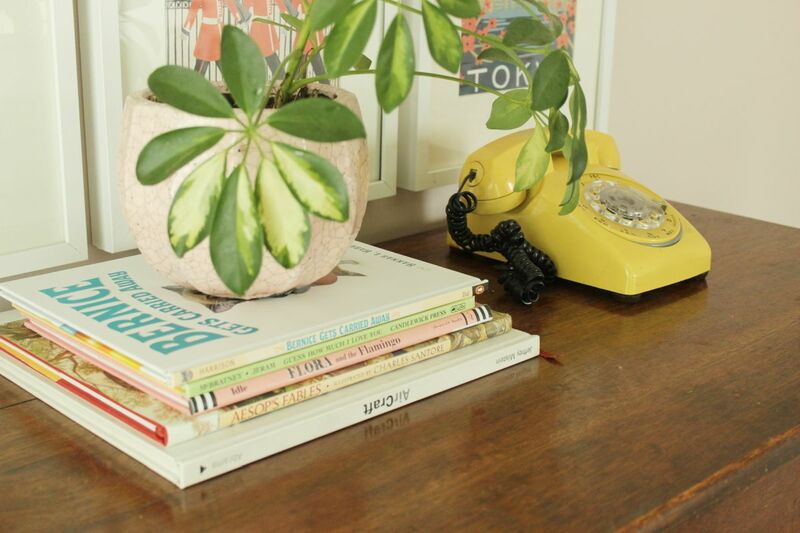 You’ll do well to rotate the books in the stack so that they actually get read and enjoyed, but a stack of books with a plant on top, for example, makes a great statement. And it’s about a simple and straightforward a bedroom decoration as you can imagine…and it’s free! If your kids are lucky enough to share a room, it’s fun to match bedding a little bit to keep the potential for visual chaos at bay. 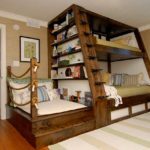 These built-in bunks are so interesting architecturally that it would be a disservice to this bedroom if the bedding were competing for attention. 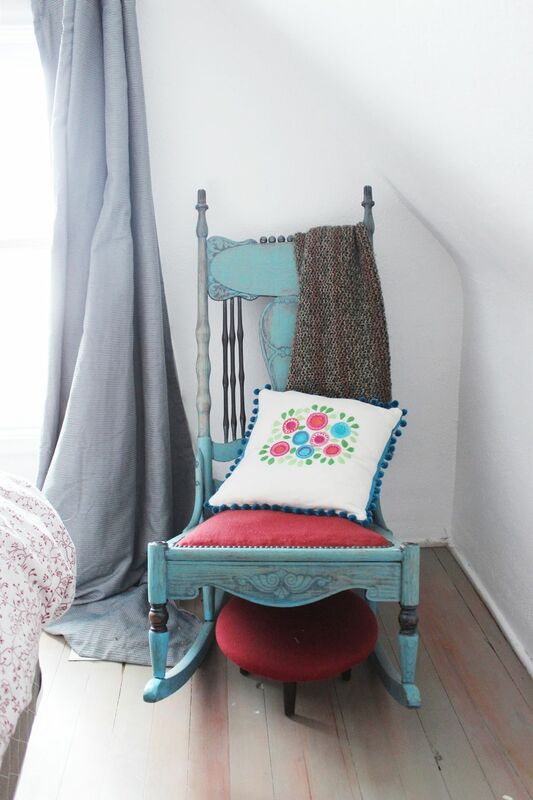 We all love a comfy place to snuggle up, and what better place to include such a seat than a child’s bedroom? 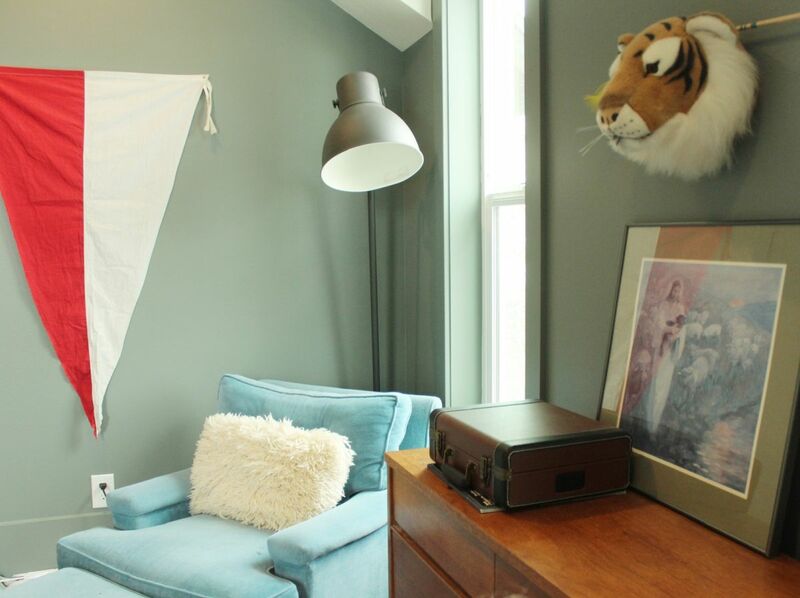 It’s best if there is an easily accessible reading light nearby to encourage reading…isn’t that just about every parent’s dream for their kid? To find them snuggled in, lost in the world of a good book? 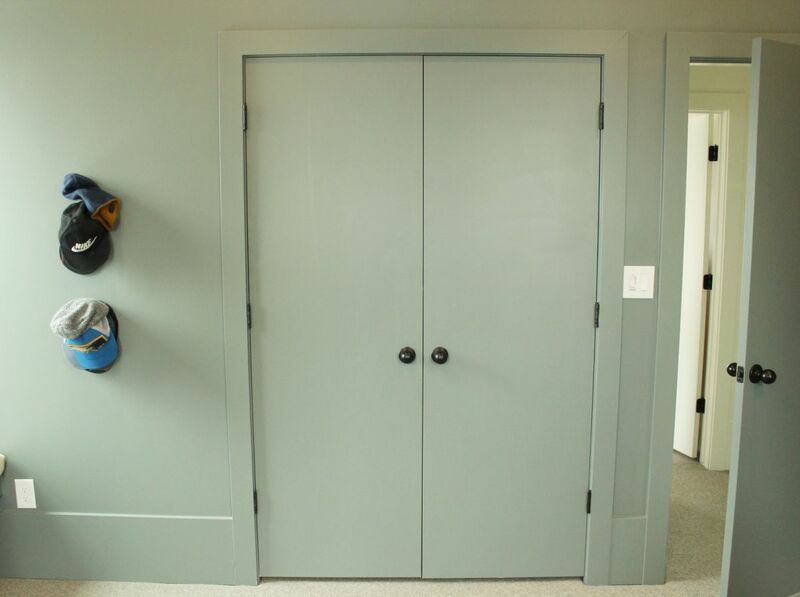 Paint doors the same color as walls. This is less critical if you are looking to decorate a bedroom with white walls already, because you probably won’t even notice the fact that the doors are white as well. But often, when bedroom walls are painted a beautiful color, the doors are left white by default. I’m not sure why this is so. 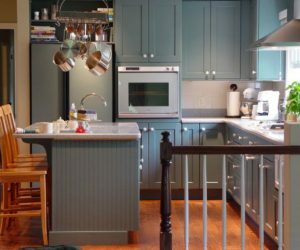 But painting the doors the same color as the walls creates a calming, soothing atmosphere…and makes a small room feel a bit larger. Kids spend a lot of time looking up at the world, adults less so. 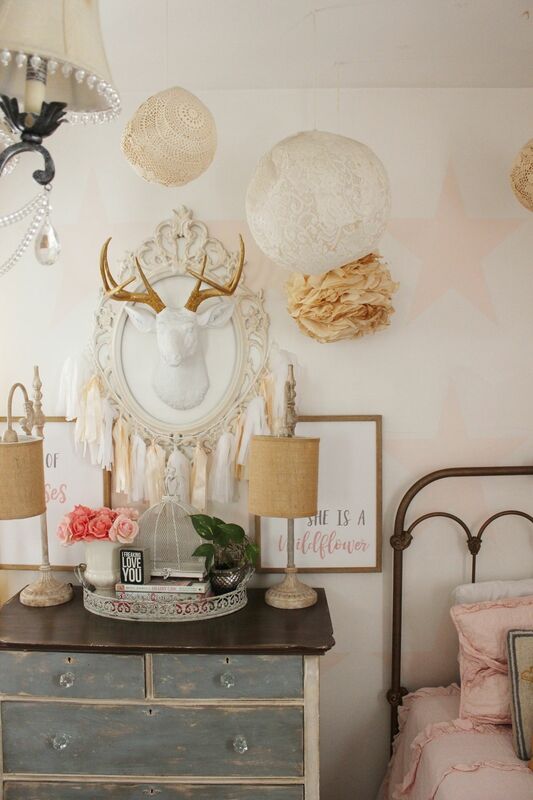 With this in mind, it’s a great tip to look up and decorate the space above a grownup’s eye level. 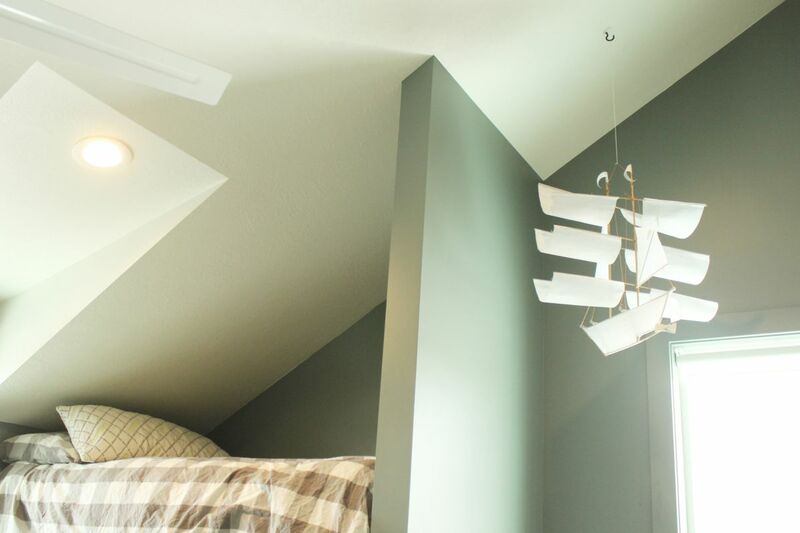 Hang a mural or a ship from the ceiling, especially a vaulted ceiling, to really delight the younger bedroom population. 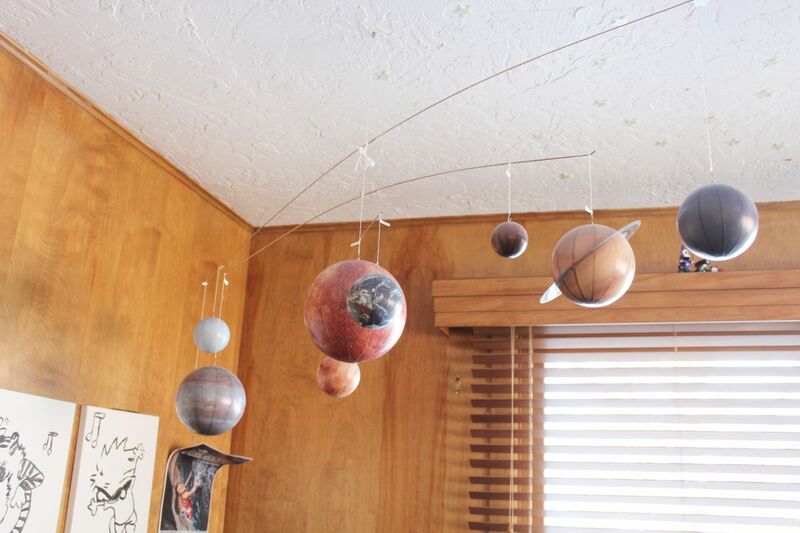 A mobile of planets provides food for young thought as well as a sight for sore eyes. 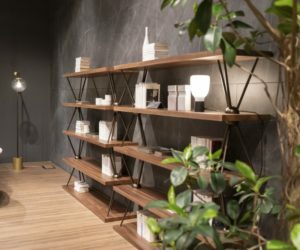 This mobile looks particularly studious set against wood paneled walls; it’s a great look for a teenager’s room as much as a child’s. 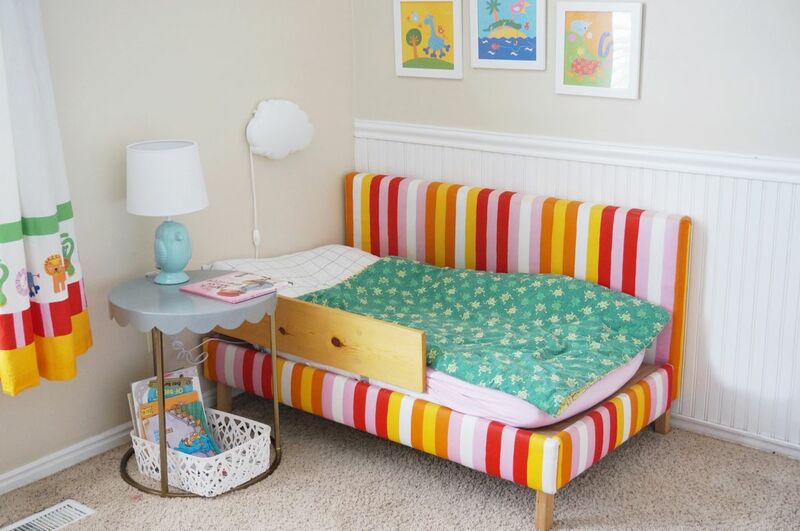 Perhaps your child’s bedroom isn’t set up for a built-in window bench (although lucky you if it is! 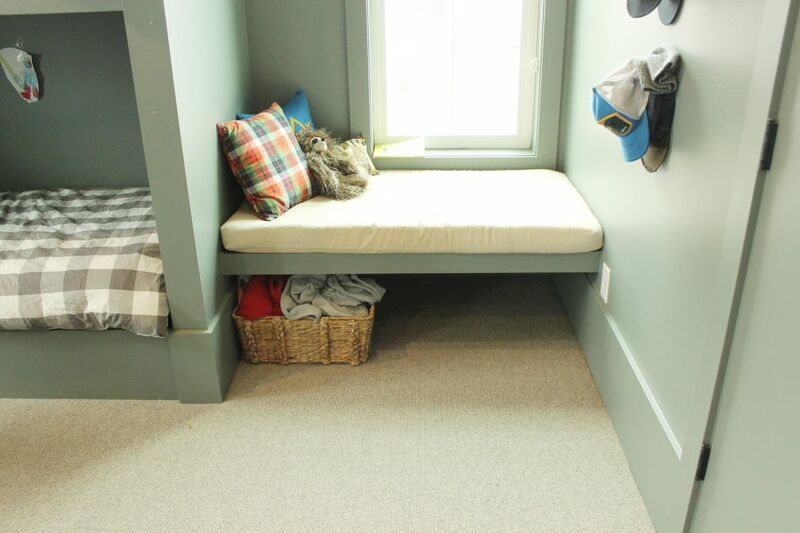 ), but you can mimic the look and function of a window seat by building a bench and padding its top. For the bedroom with two twin beds, a charming way to create equal design opportunities for both of the room’s inhabitants is to use symmetry. 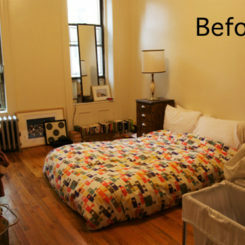 Two similar, if not matching, beds create structure and cohesion in a space that has lots going on, just by nature of its doubled-up inhabitants. 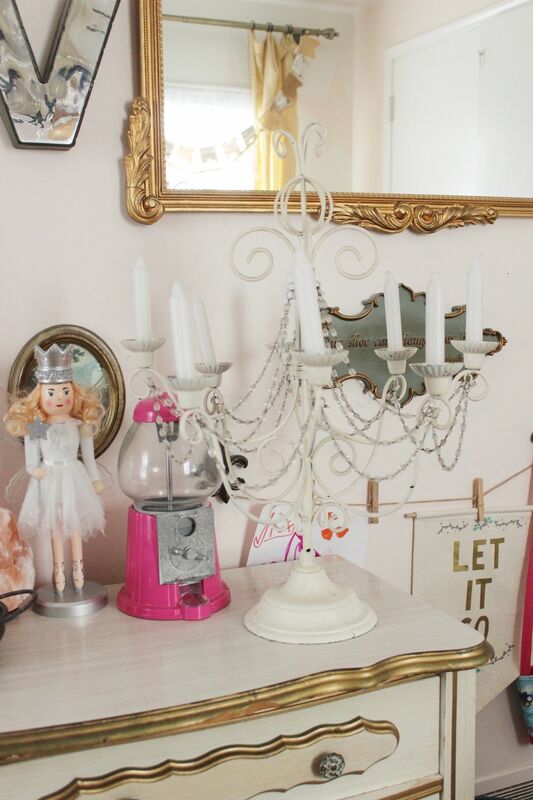 A fancy vintage chandelier is delightfully elegant and sophisticated in a child’s bedroom, which makes it a perfect choice for such a space. 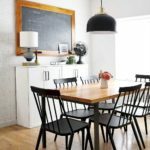 You may want to supplement with other task-oriented lighting in the space, but a chandelier will certainly be a focal point. The purpose of a nightstand is to have a surface at the ready when you’re going to sleep, but this makes it prone to becoming a dumping ground of all sorts of odds and ends. When this happens, then it no longer serves its purpose. 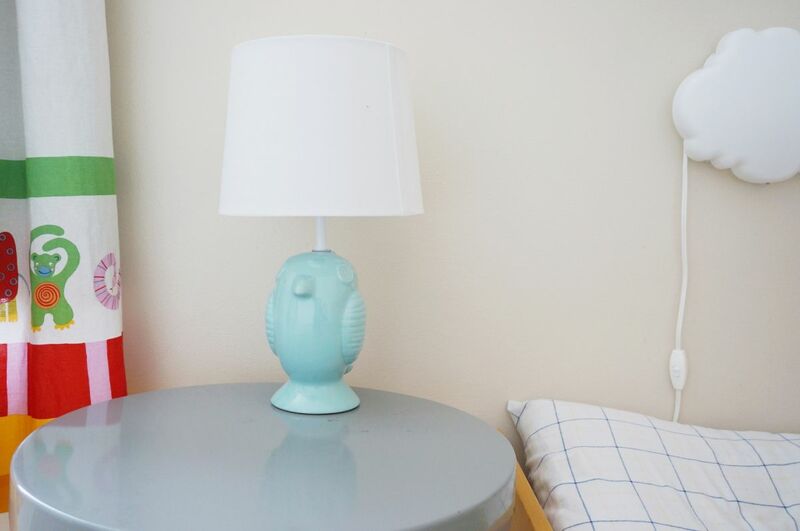 Keep the nightstand free of unnecessary clutter for a useful addition to the child’s bedroom, even if it means making “clear the nightstand” a part of the child’s morning routine. 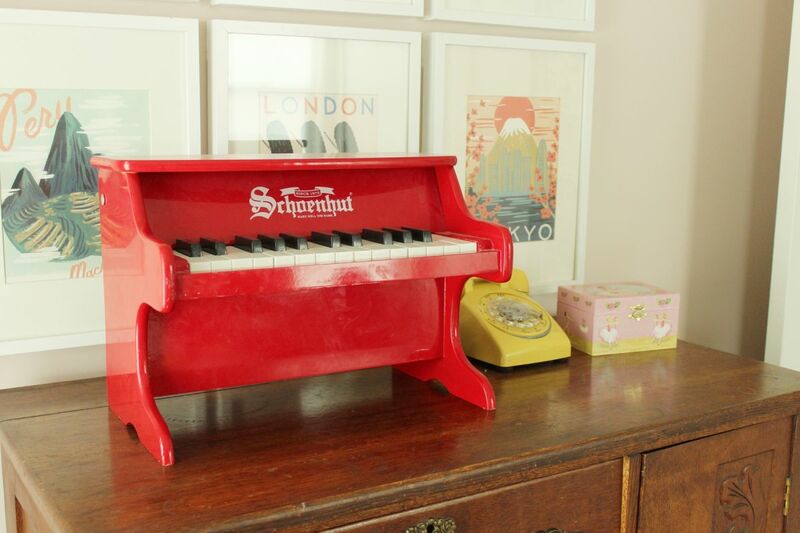 Use real objects as toys. 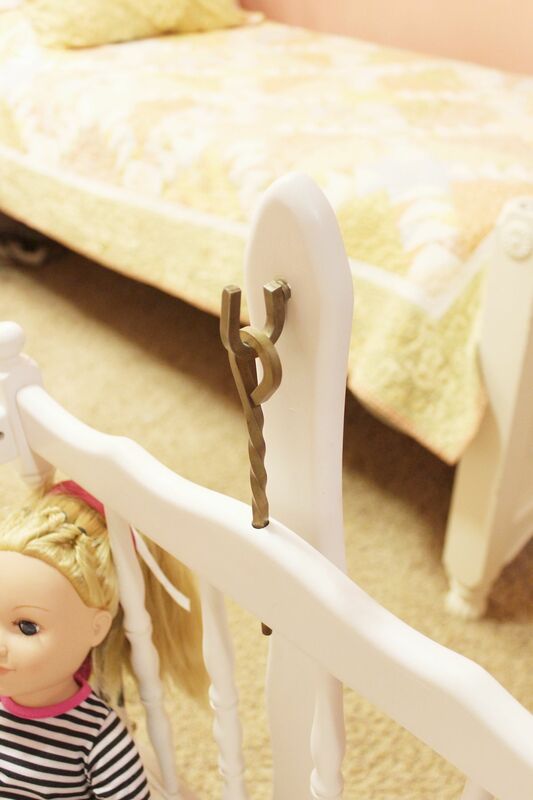 Vintage objects can make magical playthings, as evidenced by this real-life cradle. 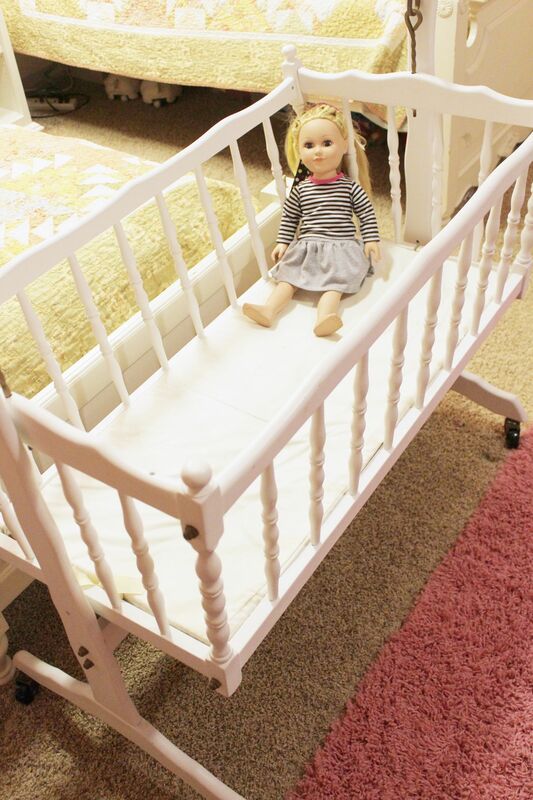 Not only is the object chock-full of sentimentality (the girls whose bedroom this is each lay in there as babies themselves), but it can provide hours of creative play opportunity. 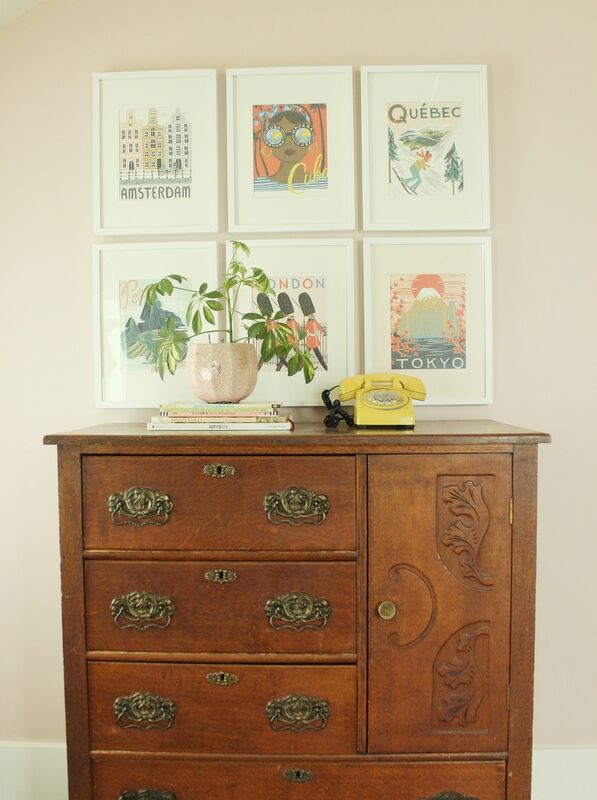 Plus, it’s hard to replicate the details of a well-made and well-loved vintage piece. 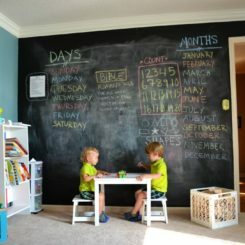 Even when they’re toddlers or preschoolers, most children love to have their own “working” space. 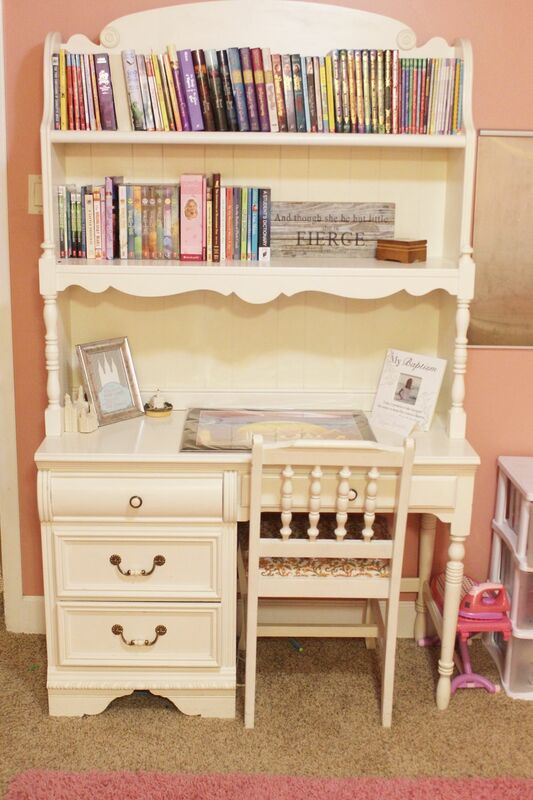 A desk, a table, or any sort of space that feels like the desk of a grownup is going to be a hit for many children. 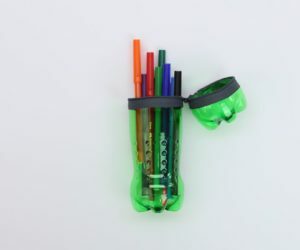 An organized desk area and a useful magnet or bulleting board will help the child hone organization skills, as well as be able to find and access the important things. 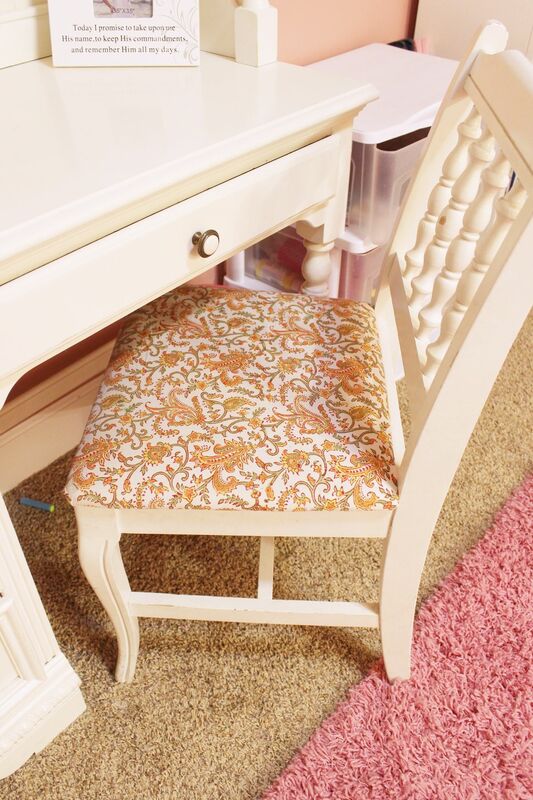 Fabric can easily be swapped out on many desk chairs, so why not take advantage of this fact and upholster the seat of the child’s desk chair? 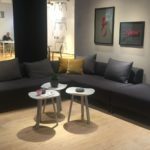 This is a simple and effective way to introduce pattern and color into a space, too, if those are components that are lacking. There’s something alluring about a chair that’s mounted from the ceiling, especially for kids. 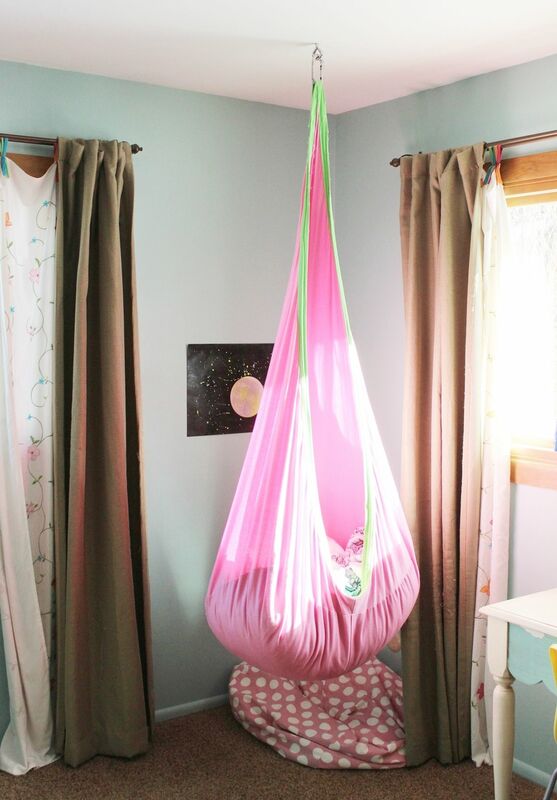 Hang a swing, a hammock, an egg chair, or any number of seat-able objects to help your child’s room feel like a fun and unique getaway. Chairs are relatively simple to find in a variety of colors and styles, and this is a very simple way to bring color contrast or enhancement into a bedroom. 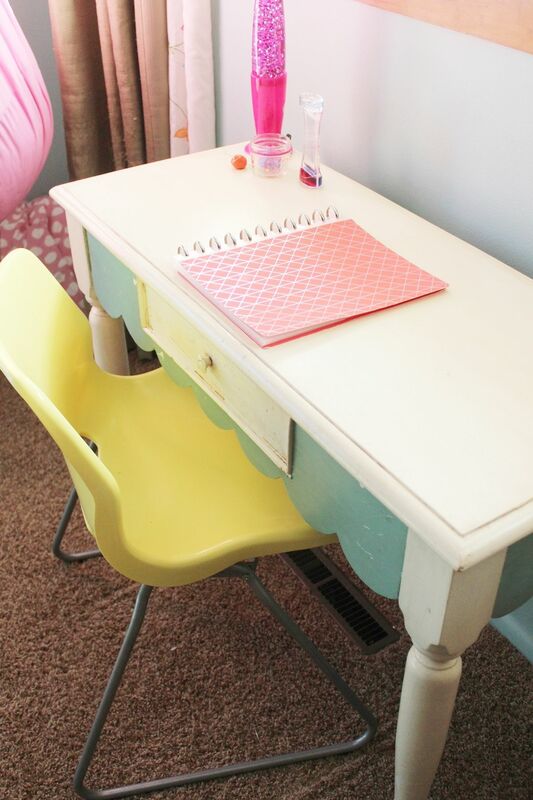 A happy yellow desk chair, for example, is going to add so much personality to a child’s bedroom while giving her a comfortable place to sit and study. It’s a win-win! 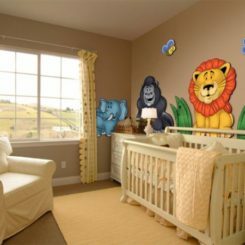 If you’re a minimalist at heart or are simply not up for decorating with stuff, you can achieve a decorated look in a child’s bedroom by painting the walls. 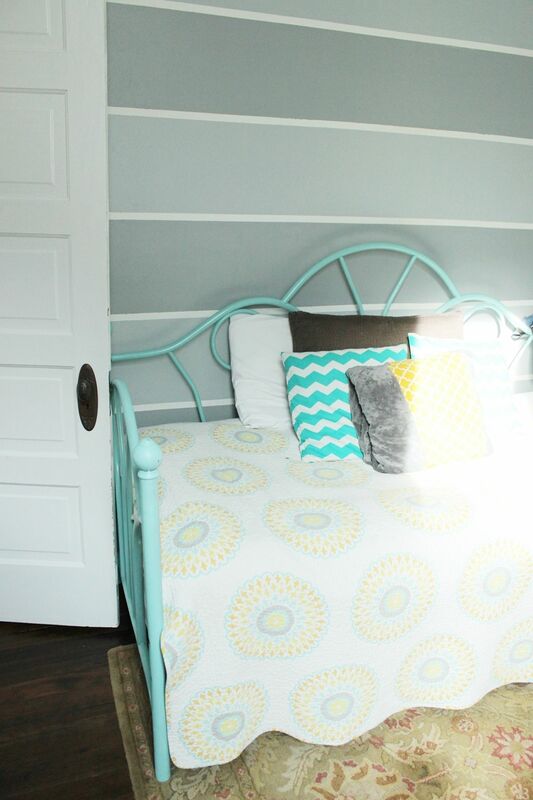 Consider vertical or horizontal stripes behind the bed for a unique and simple method of decorating. Bonus: It takes up no space! 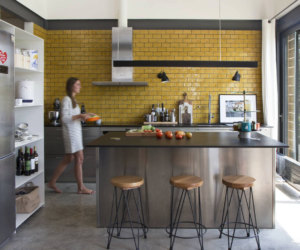 Wallpaper is available in so many patterns, styles, shapes, colors, proportions, etc. 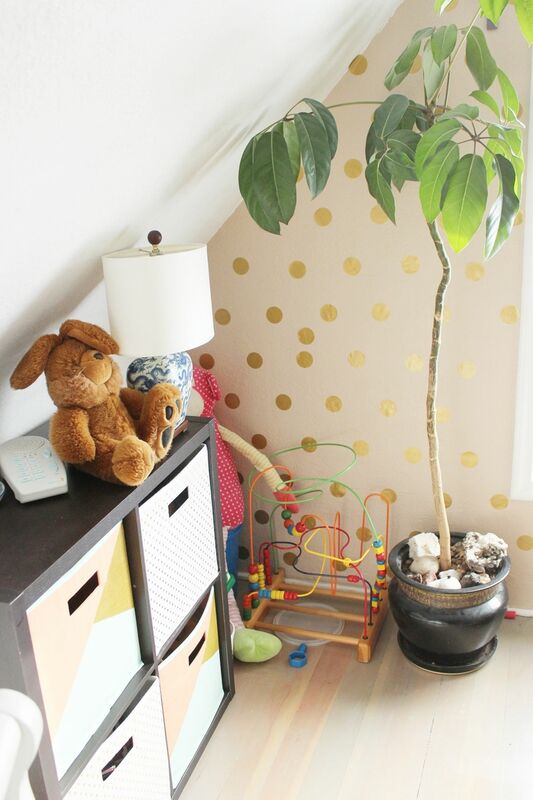 If you want to wallpaper your child’s bedroom, you’re sure to find something that suits both of you, style-wise. 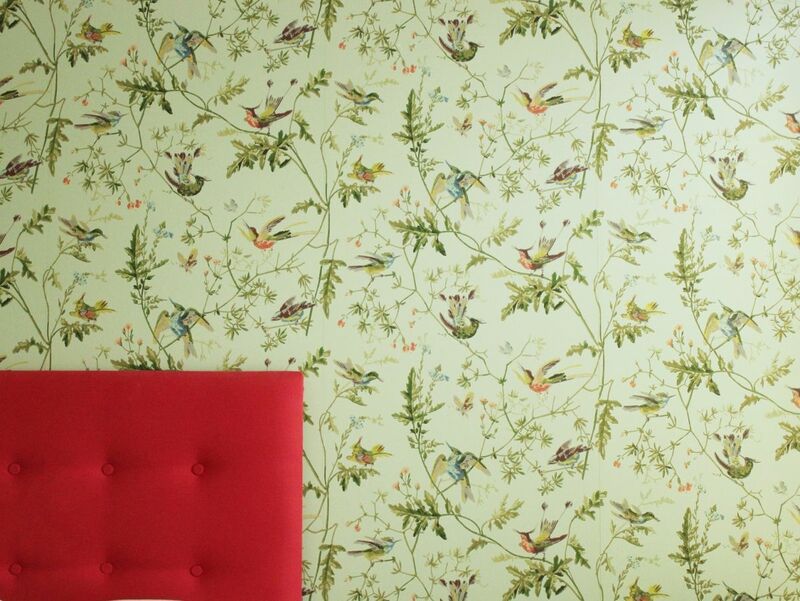 This gorgeous bird wallpaper sets the perfect tone for a bolder fuchsia tufted headboard; the contrast is utterly charming. We hope you’ve been inspired and found ways that you can decorate your kids bedroom in ways that make your children happy. 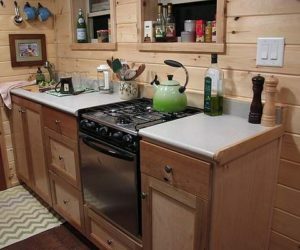 And that you are able to recognize that you don’t have to sacrifice style or organization just because the space is primarily visited by a child. 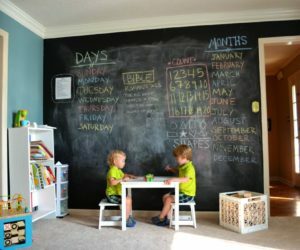 Enjoy creating the space that they will love to spend time in.